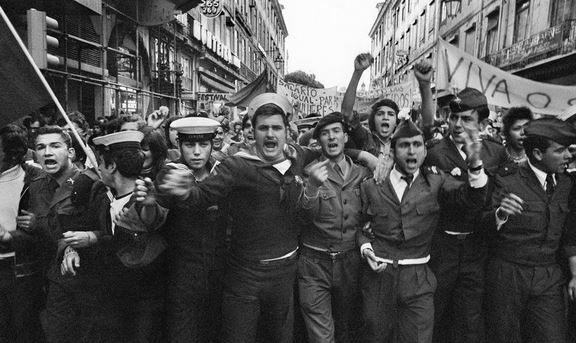 On April 25, 1974, Portugal experienced a coup like no other. 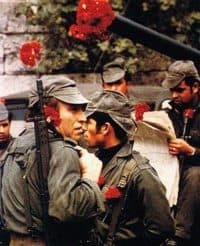 In an era characterized by the clash of ideologies and power players, the nearly bloodless revolution became known as the Carnation Revolution. What began as a military revolution led by the Movimento das Forças Armadas (MAF) quickly became a mass movement of civil unrest. Dictator Marcello Caetano resisted the independence of Portuguese colonies for as long as possible, forcing soldiers to take de-colonization efforts into their own hands. Much of the planning for the revolution took place outside the country, in places like Angola, Guinea Bissau and Mozambique. The Carnation Revolution led to tensions in Portuguese–U.S. relations as the American government believed a Communist victory was imminent. The revolution ended in the peaceful overthrow of Caetano and the Estado Novo or the Second Republic, which had been the installed in 1933 and was the longest surviving regime in Western Europe. 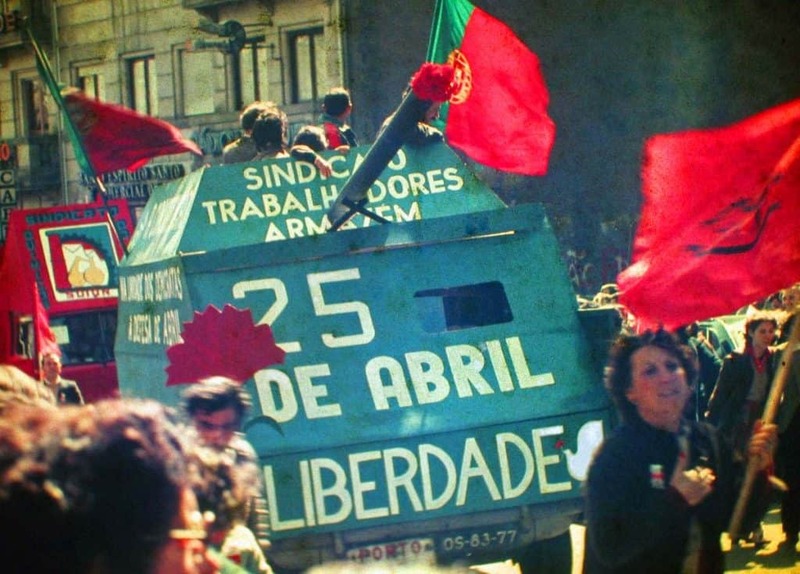 The Carnation Revolution introduced a new Constitution, the end of Portuguese colonialism, as well as civil liberties which had previously been banned under Caetano’s government. 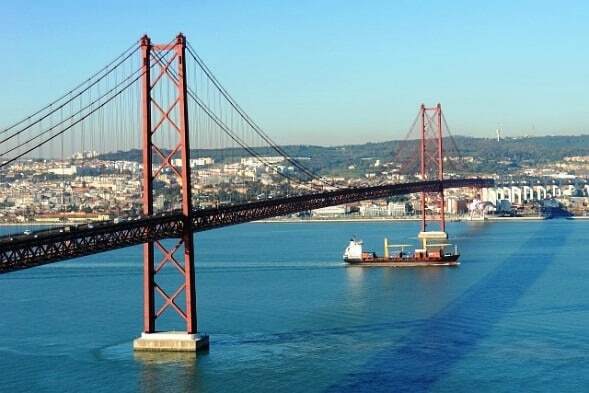 Today, April 25 is celebrated as Portuguese Freedom Day and is also the name of Lisbon’s version of the Golden Gate Bridge. James A. Cason served as the Political Officer, and Richard F. Post was the Deputy Chief of Mission at Embassy Lisbon at the time. Cason describes the shift in the political atmosphere before the Revolution. Post discusses the aftermath of the Revolution; the close contacts he had with the new junta; Henry Kissinger’s distrust of the new government, and the momentous decision to give the new government an aid package. Cason was interviewed by Charles Stuart Kennedy beginning in 2009; Post was interviewed by Kennedy beginning in 1990. You can also read about the negotiations behind the withdrawal of Cuban troops in Angola and James Cason’s later adventures as Principal Officer in Havana. You can also learn more about Chile’s and Argentina’s transition to democracy. CASON: Portugal in 1974 was a quiet place, with no hints of the revolution to come. 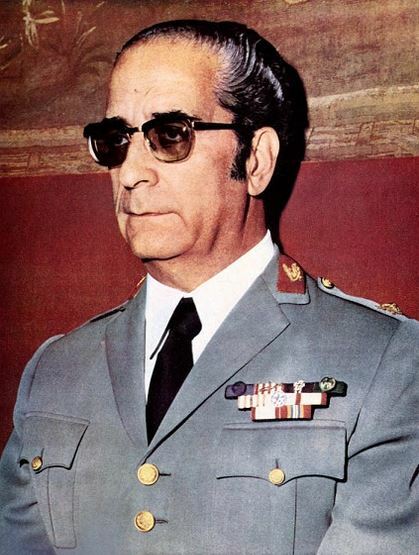 There was really no political opposition, as Portugal was led by a dictator, Marcello Caetano. Being new to political work, I was given the safe job of domestic political analysis, and began making my contacts and did a lot of biographic reporting. And I was given the task as well of watching the colonies from there, Guinea-Bissau, Angola, Mozambique. We had a whole rotation out of all the experienced officers. Politically, things were routine, quiet until one day in May 1974 as I was taking my morning train from Oeiras, down the coast, where I lived; I remember the crowd on the train was uncharacteristically very quiet. As we approached the downtown station, I looked up and saw this whole line of tanks along the train track with troops with guns out on the top. I thought perhaps the troops were on maneuvers or something. We were caught flat-footed and had no inkling that the revolution was coming. As I disembarked at the Central Station I heard the crack of rifle fire–chuchuchuchuchu. I said, “Uh-oh,” alerted the embassy and took a cab there right away. It was a fascinating time to be in Portugal, particularly since my job analyzing the domestic politics now suddenly became very interesting. Young army captains and majors and officers from the other services who had been stationed in the colonies made the revolution. Within a few days, rebelling troops had taken over the country. The elite fled, including the Espirito Santo Silva family [founders of the Banco Espirito Santo], and many of the bankers and regime supporters. The whole state security apparatus was rolled up; hundreds were arrested and others fled. None of us knew who these young officers were, what they wanted and their ideological orientation. They were complete unknowns, to the diplomatic community at least. They planned their revolution in secrecy while in Angola, Guinea Bissau and Mozambique. They snookered the whole government, taking over in a lightening blow with very few casualties. This was at a time when the world was pressuring Portugal to begin the decolonization process. The colonies around the world were more than ten times larger than Portugal itself and Portuguese troops had been fighting stubborn guerrillas for years. Men were dying and there seemed no end in sight. The wars cost the country much money, which could have gone to alleviate pressing poverty at home. Caetano resisted ending the wars and pulling out, so the young army officers took matters into their own hands. The revolution was to speed up decolonization, end the wars via negotiations, and improve socio-economic conditions at home. They also wanted Portugal to join the nascent European Union. Our dilemma was that Portugal belonged to NATO and its ministers had access to NATO secrets. The revolution scared our government. Was Portugal going communist? Would it fall into the Soviet orbit? The uncertainty was a big deal for Kissinger and our President. Some observers gasped that, Oh my God, the Communists have taken over a European country! That’s because some of the officers appeared and spoke like Maoists, they really were far left. The head of the military, General Antonio de Spínola, supported the revolution but was a moderate. Soon it was evident that there were tensions between the junior officers and their seniors. The extremist spokesman was Otelo Nuno Saraiva de Carvalho, who we thought was a Communist and who became our nemesis. Anyway, Kissinger didn’t like the reporting that was coming out from the Ambassador that basically said this is not a Communist uprising but a nationalist one, which stemmed from frustrations with Africa’s policy. Portugal was a very conservative society and was not interested in communist ideology. I reported that. People were fed up. They wanted to accelerate the decolonization process and end a dictatorship that had lasted for 40 something years and only benefited the entrenched elite. And so I reported that this is not a communist wave. The revolution took place the 2th of April. On May Day 100,000 Communists passed by the embassy chanting [“The people united can’t be defeated!”] Where did they come from? A couple of days later [then Secretary General of the Socialist Party] Mario Soares came in with 100,000 in his rally. He’d come in from Brussels, and was the Socialist leader. And then several conservative parties popped up. All these parties had been banned under Caetano…. POST: To me it was a very satisfactory kind of coup to have. Because on the night of the coup, the new Junta of National Salvation was introduced to the Portuguese public on radio and television. In the five-man junta, two were close friends of mine; one was [Francisco da] Costa Gomes, Chief of Staff of the army. He had been the Commander of the forces in Angola when I was Consul General. He was probably my best contact when he was there. I would go to him and the line I took with almost everybody, among the officials in Angola that is, was that U.S. policy is going to be somewhat determined by what I report about developments here. Now you have it in your power to tell me what is actually happening, or you can take the risk that I am going to have to be reporting hearsay. Therefore U.S. policy is going to be based on hearsay. It worked with him, but it didn’t really work with anyone else. But he gave me a lot of information about the military situation which was quite accurate. The other guy who was one of the five-man junta was a real ne’er-do-well. He was a retired Air Force general. Young but retired. Some scandal, that apparently was to his credit as far as the revolutionaries were concerned. I knew him because he too rode to the hounds. He was a real ladies’ man. All of a sudden he’s a part of the junta. So I have two of the five who I can immediately approach directly. Now, that’s pretty unusual. 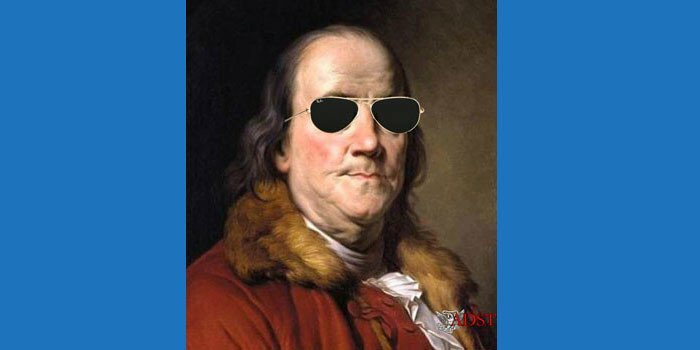 A government to which the United States is about the last friend in the world, to be overthrown and have that kind of contact immediately with the successor government? Incredible. Of course the reason for it was the majors and captains who carried out the coup were basically apolitical types. The Portuguese army was not the kind of place that attracted very many of the left side of the ideology camp and it was a disciplined army. So of course they go to their top generals. And Costa Gomez [pictured] was one of them. Spínola was another. This was the authority structure that they were accustomed to. Even though their own ideological druthers might be somewhat different, they were basically apolitical. Then we had this other problem of trying to persuade Washington that these were not communists. “Write Portugal off. It’s finished.” We were arguing that these guys are apolitical. The one thing that they know about the United States is that we supported the last government. Therefore they had to be somewhat suspicious of us. And we should allay that suspicion by welcoming this revolution in any way we can, including coming forward with an aid package for Portugal. Above and beyond what we were doing already. Well, we argued that until we were blue in the face to Henry [Kissinger]. I assumed it was Henry. If anything exciting happened in the world, he took it over. After that point on it wasn’t anybody else’s concern. We made very little headway with that argument although we made it repeatedly. Finally, two things helped to bring it about. One was that we had a visit by [Senator] Teddy Kennedy. He went back to Washington advocating that we support this revolution. And I think Henry Kissinger could see policy getting taken right out of his hands by Kennedy, or the threat of that. The other was that we stepped up the ante in our reporting, saying that if we don’t do this, because we fear the country is going communist we may well be acting out a self-fulfilling prophecy. I think that that hit home. The Foreign Minister was then Mario Soares, [later] President, with whom I had had a lot of dealings. The Ambassador and I got to the President to inform him of this aid package but not to Soares. However, that was okay because I was going to a dinner party at the French ambassador’s house where Mario Soares was to be the guest of honor. Oh, he was very happy. We went and had our dinner. At the end of the dinner the French ambassador gets up and gives a toast to the President of the Republic of Portugal. You can just imagine the face of the French ambassador. There was a lot of pulling and tugging. 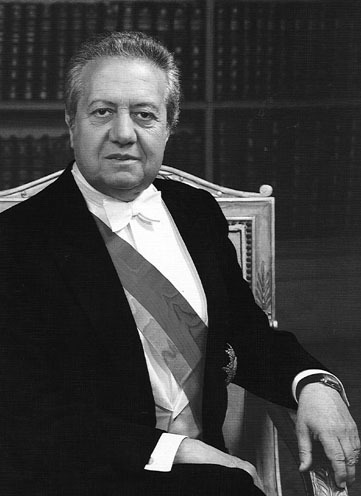 The coup installed General Spínola ultimately as President. In his book he had advocated some change in the overseas territories, but what he ended up insisting upon was that there should be free and fair elections, that there could be independence but there should be the option of staying with Portugal. He thought that option would win. But it would be a voluntary association. Well, the majors and the captains were not buying that. They were insisting that they should hand them over to the liberation armies and that they should get the hell out. These were guys who had gone there repeatedly, not in the best of circumstances. It became clear that he was of an older school of thought than they were. So there was a tussle going on between him and a group that was gradually coalescing, as the people who were the heart and soul of the coup, the planning force, who were quite clearly farther to the left than he was. He was very far to the right. So although they were to the left of where he was, they were certainly people we could still deal with. And we did. I had extensive conversations with a couple of them. People I did not know beforehand, but that I got to know after the coup. And we maintained pretty good relations with this revolutionary council. There was then the question of elections. Of course the people who were about to write Portugal off assumed that there never really would be free and fair elections, but that these army officers would skew things in favor of the Communists and they would win. They went ahead and did hold elections and the Communists did not win. They did not win more than 20% of the vote. It was the Socialists, people at the center and the right that came up with the big majority. That was a clear indication that the people of Portugal were people who wanted to stick with democracy in the West and all the rest of it.